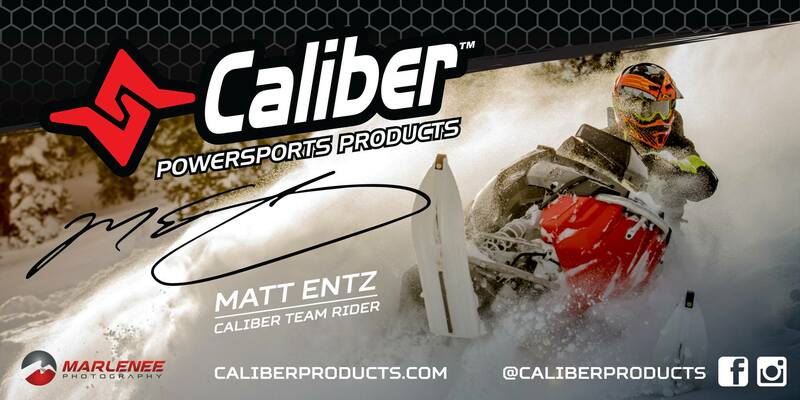 Caliber Industries, a leading manufacturer of snowmobile trailer accessories, has chosen Marlenee Photography for a 2016 ad campaign, and we are delighted! A big thanks to Matt Entz, athlete/rider in this photo! Caliber’s mission is to be an industry leader in trailer accessories by creating products that are of the highest quality, precision engineered and the most innovative of their kind while still being competitively priced. We develop products that address the ATV, snowmobile, and marine trailer markets. Our product line has grown to include a broad range of innovative products addressing the desires of power sports industry participants throughout the world. Caliber is dedicated to producing the highest quality products and we stand behind them. All Caliber products carry a limited LIFETIME warranty against defects in materials and workmanship, and normal use breakage. We have assembled a group of power sports enthusiasts that is the best team in our history. Over the last 2 years Caliber has strengthened our team in all key facets from the executive level to our sales team, our engineering team, our product fulfillment team, customer services and virtually every other aspect of our business. We are ready and looking forward to a great year of providing world-class products and customer service. Our business model is simple and based on the highest standards of integrity at all levels. Caliber designs and manufactures our products to the highest quality levels possible. We then sell those products only to authorized distributors. Our distributors provide these products to a vast dealer network that delivers the product to our customers. We support our product at all levels within this structure and stand behind all of our products 100%, so our customers can always feel secure in buying a Caliber product.